Rome wasn’t built in a day (as this old saying says). The history of Rome is long and complex, including rich historic cities with historic sites like the Roman Colosseum, a monarchy turned republic turned empire, and even famous people like Julius Caesar and Cleopatra. Project Passports are designed to teach history hands-on, and with over 50 projects to choose from, the selections are plenty! Pictured below is just one of the awesome projects included! Project Passport: Ancient Rome is designed to take you on a trip to a historic destination, the students are provided with printables to make a passport and luggage folder for their travels. Ample information is provided through engaging Text Lessons for Twenty-five “Stops” along the journey. 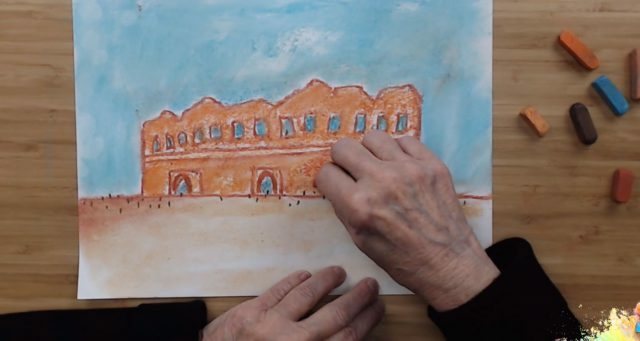 As they learn about the history and culture of the era, the Itinerary will provide projects assigned to each “Stop” along the way and the directions on what to print, supplies needed, and how to make them. Several components are provided to make your journey a memorable one! Beautifully illustrated printables are provided to make the following! A “Dining Out Guide” to experience the era through your taste buds! A full Lap Book with over a dozen projects of its own! Also provided is Dramatized Audio, where you can hear the words of famous people and witness events as they happened! After all, what travel is complete without a guided tour? Check out my in-depth review of Ancient Rome’s counter part: Ancient Egypt! The Story of the World is an award-winning resource for families looking for a story based history curriculum. Told in the straightforward, engaging style that has become Susan Wise Bauer’s trademark, this four-volume set covers the sweep of human history from ancient times until the present. Africa, China, Europe, the Americas. 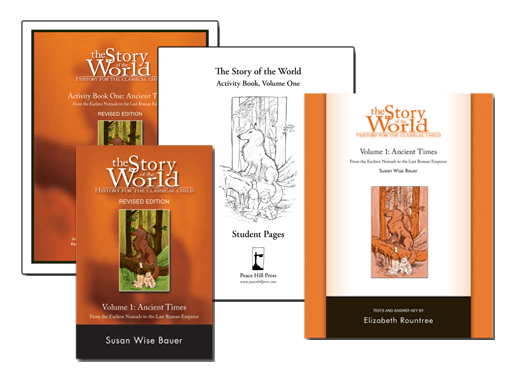 Each Story of the World volume provides a full year history curriculum including the reading text, activity/workbook book, and tests (There are also engaging audio versions of the reading text.). Ancient Rome Unit Study – teaches students about Ancient Rome and the many influences they have had on our modern world. 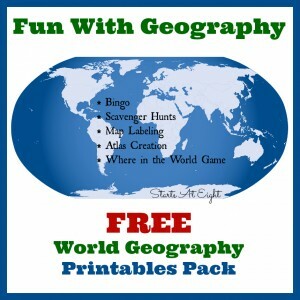 Includes reading selections, worksheets, enrichment projmects and more. 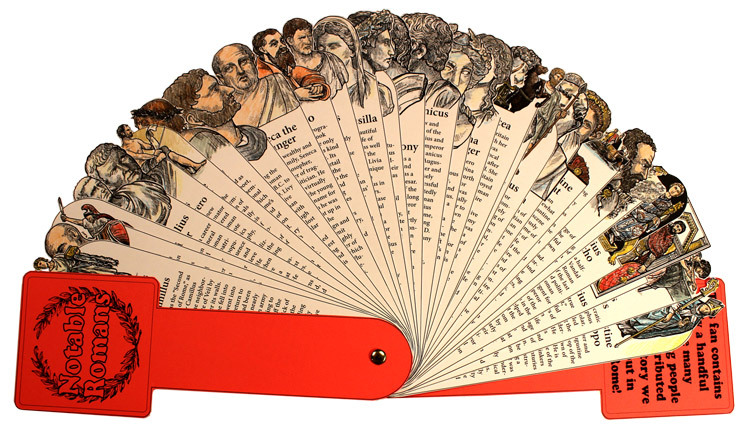 History Scribe – Kids learn as they draw and write through history. Includes over 34 pages to illustrate and narrate. This would help my sister so much. She home schools all 3 of her kids. 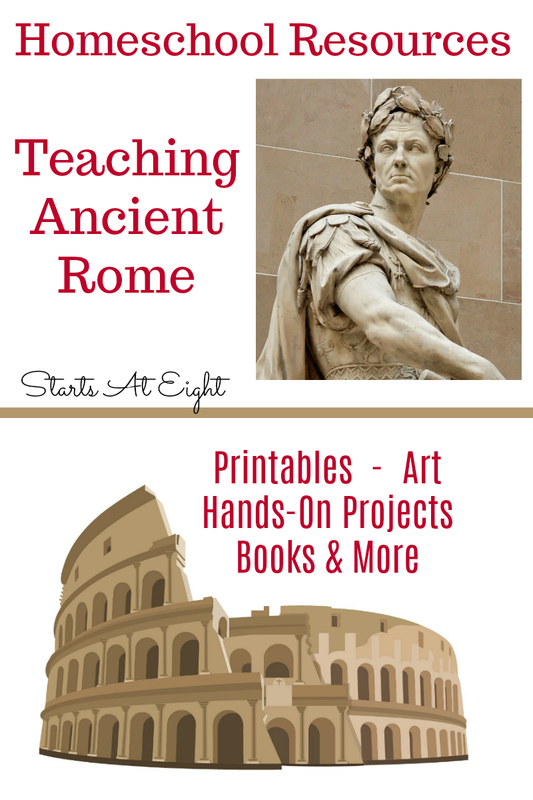 My daughter loves Ancient Rome, these would be great resources to have! We are studying Ancient History this year!!!! What an awesome set, would love to check it out! Looks very helpful! 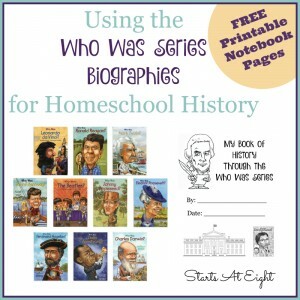 Perfect for my homeschooling family! My kids love Story of the World cd’s! Jim Weiss is an excellent narrator. This is an amazing Giveaway! Thank you for the opportunity to win! All of this sounds like it would be a lot of fun! We are going back through Ancient Times again with the younger crowd. It’s my favorite period of history to teach! This giveaway looks AWESOME!!! We are so excited about this school year. Thank you for an awesome giveaway! We love ancient history & learning about Rome is one of our favorites! This is a beautiful basket! Ancient history was my favorite subject in school and I can’t wait to teach it to my children! This would be perfect for my grandson. We’re getting ready for back to school here. 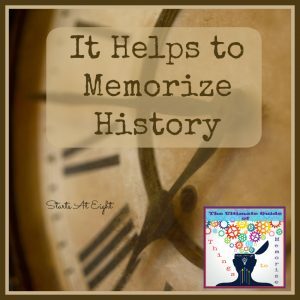 A living approach to learning about history is a favorite in our family! 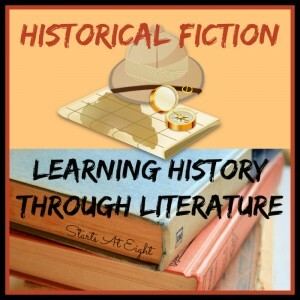 We love history and my kids would be so excited if we won this! Thanks for the giveaway! This would be a great lapbook for my daughter! Would love to try the Project Passport — thanks! My kids love ancient civilizations! This would be so much fun for us! Thank you for the chance to win! I, too, love teaching ancient history.! What a great set! 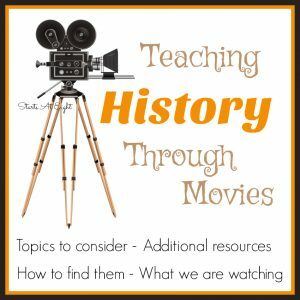 We’re always looking for fun resources to add into our history study. I am glad I looked at this great giveaway! I found a lot of valuable resources – thank you! These look great! I know my kids would love to win this! Awesome giveaway! So much learning to be had. 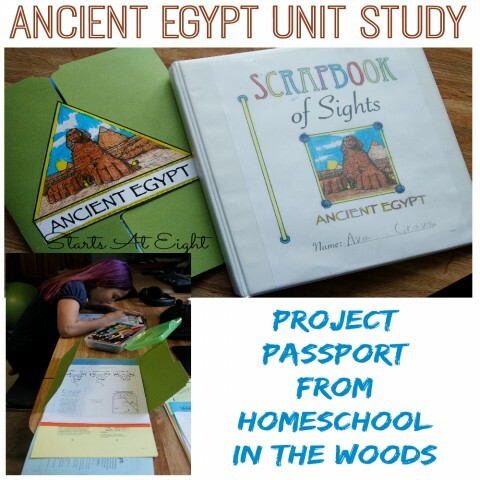 I would love to try the Passport projects with my kids. This is the only one of the ancient history time traveler packs I don’t have! Thanks for offering this. Working on Ancient History all this summer, so far. 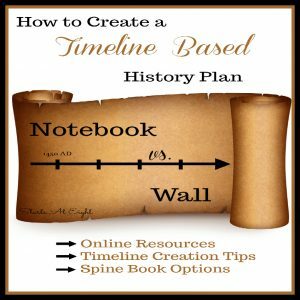 . .
We are planning on doing Ancient History this year, so this would be great! Thanks for all the resource tips! I love history! Anything that makes history more interesting to my science loving daughter is wonderful. Great resources! Even if I don’t win, I sure got lots of great ideas. Thank you! We’ll be studying Ancient Rome again in a year! What wonderful products in this giveaway! I would love to use these with my 5 kids! Thanks so much for the giveaway! Thank you for the opportunity! We’res studying Rome in our hineschool! What a wonderful basket! I love learning about ancient history and teaching our children. We’re studying ancient history this year!